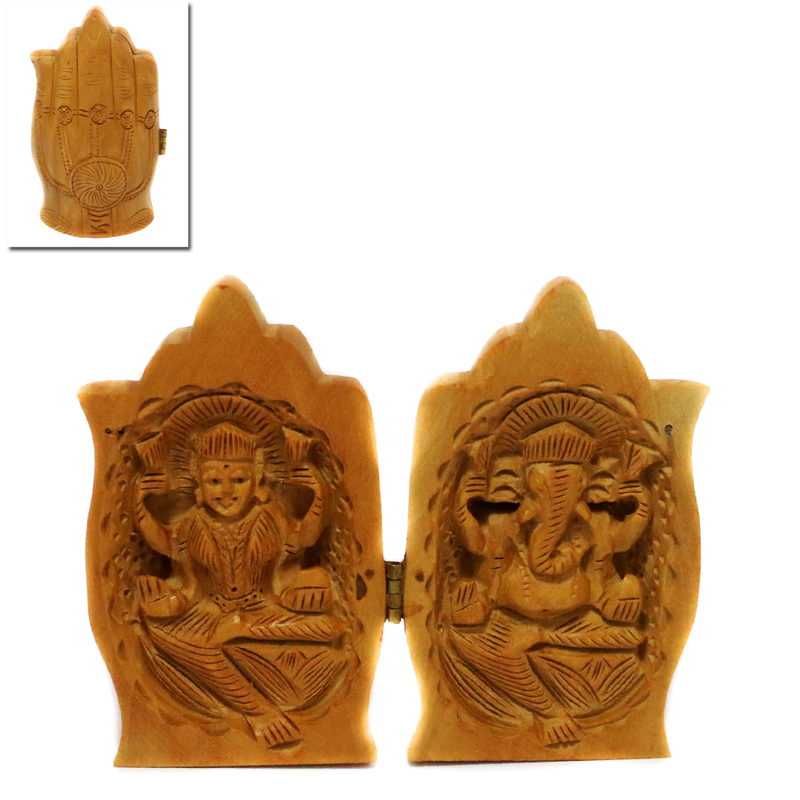 the wooden hand-shaped Lakshmi and Ganesha is something appropriate to present during the festive months. The showpiece is in the shape of a folded hand Read More..and once it is opened, the two idols appear as they are carved on the interiors of the folded piece. Show Less..